It's a fine fine day! I said good-bye to the owners of the hostel and got going. This hostel was really nice. I think it will be packed during the season. 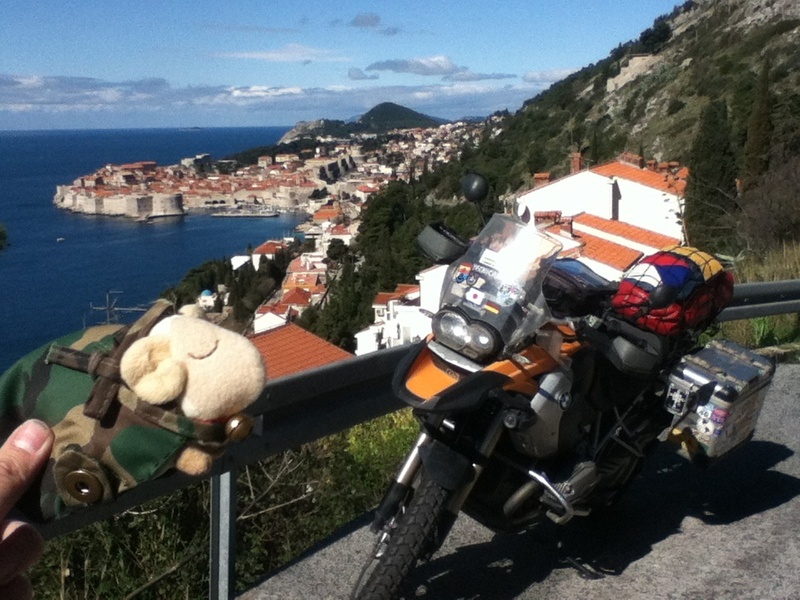 I was heading to the border to Montenegro, but on the way I would have chance to see great views of Dubrovnik, so Miguel said. 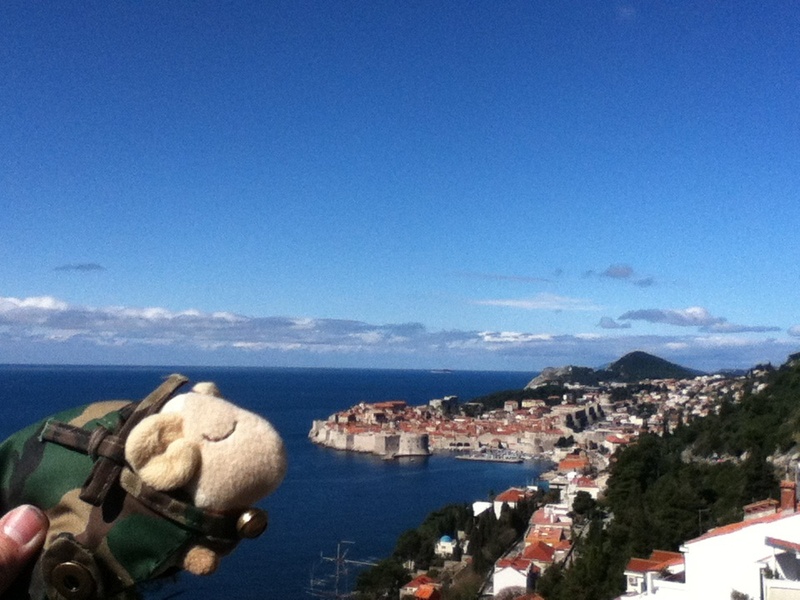 This was the view exactly I imagined of Dubrovnik! Luckily I could see it on such a good day! 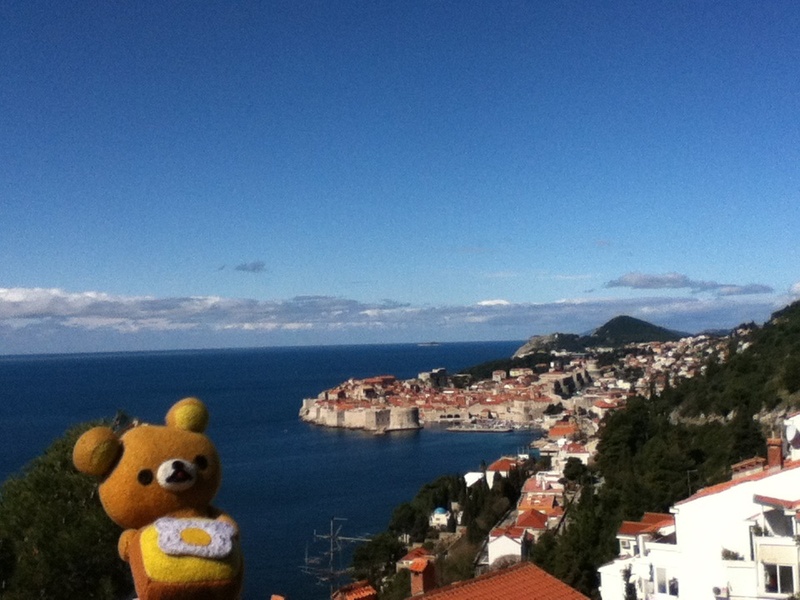 Now I can leave Dubrovnik without any regret. Well, one regret I have actually is, I wasn't with someone I love! To the border, it was less than 50km. This time I had to go through a proper passport control. 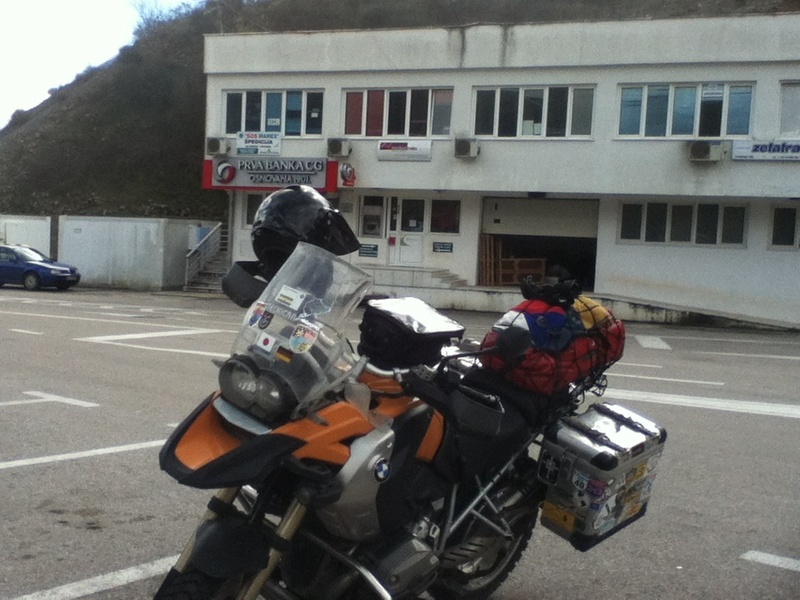 Exiting out from Croatia first, then I entered Montenegro. The officer at the Montenegro immigration, he was quite friendly. He was surprised to see the Japanese registration document! He told me where to get a green card for Montenegro. The passport was held till I returned with the green card. The minimum cover was 15days and it cost €15. I also exchanged rest of Kunas to Euros. 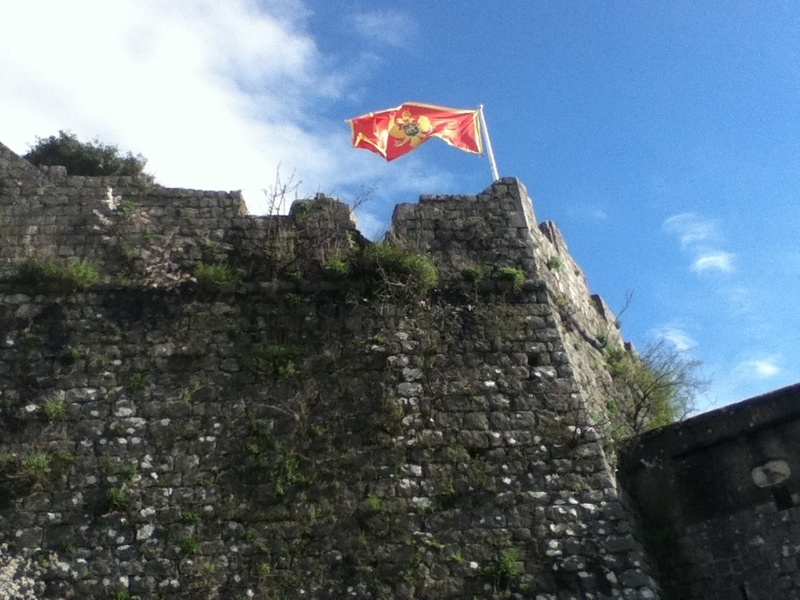 Yes in Montenegro. 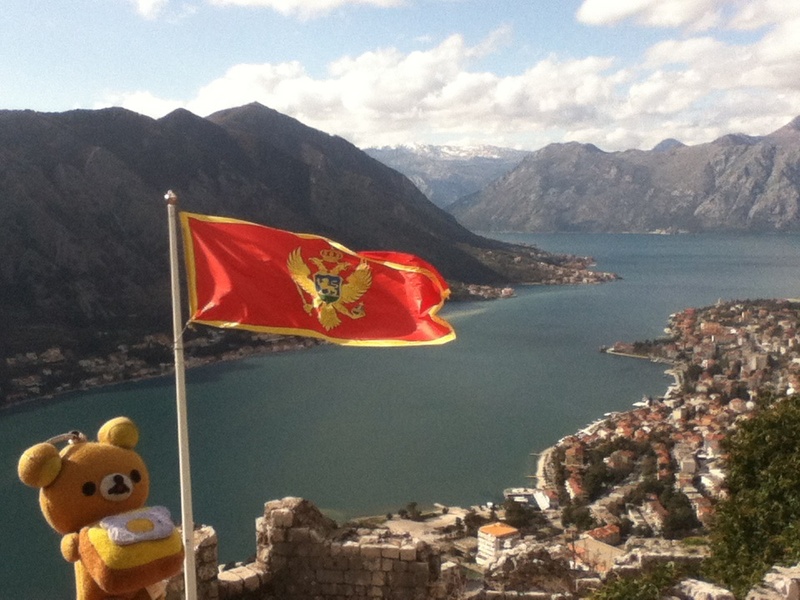 Euro is used as the currency, even though Montenegro isn't a member of EU. Well, it's a small nation, so it would be easier and more economical not to have the own currency. 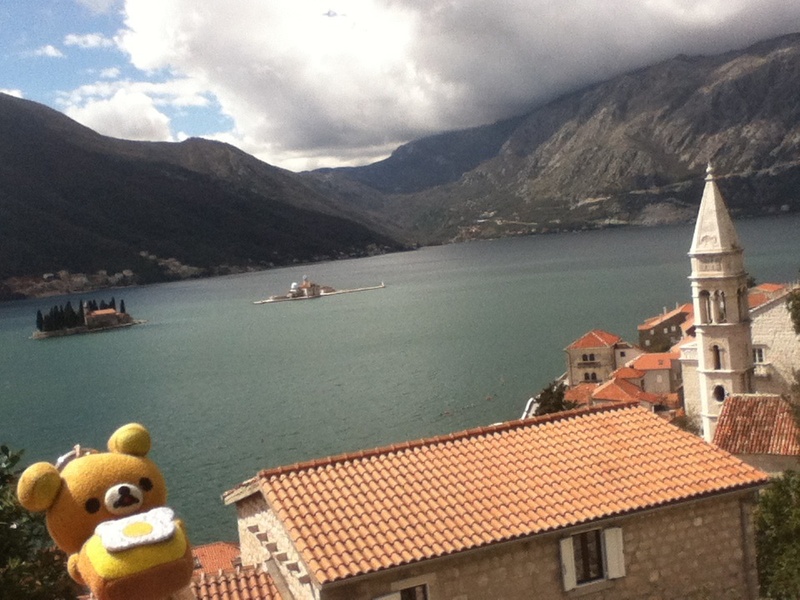 I got back the passport and entered Montenegro! The 58th country I've visited on this trip. After crossing the border, I found a petrol station with the levelled ground. 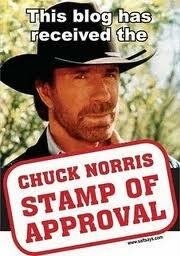 There I checked the level of the engine oil and I topped up 300ml. I made 3,000km since the last oil change, so it consumed 100ml per 1,000km. It is the characteristic of the boxer engine. 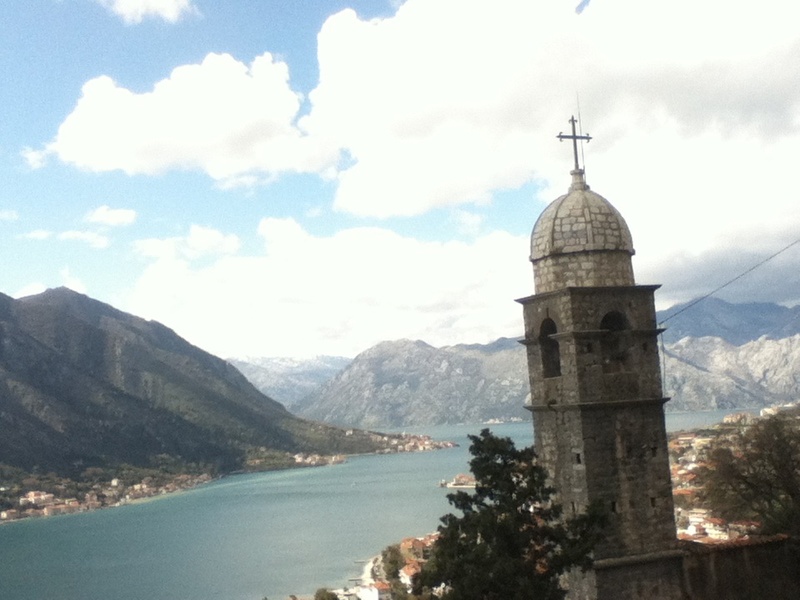 Then I arrived Kotor. I rode less than 100km today but it was already 1:30pm. It was much later than I expected. 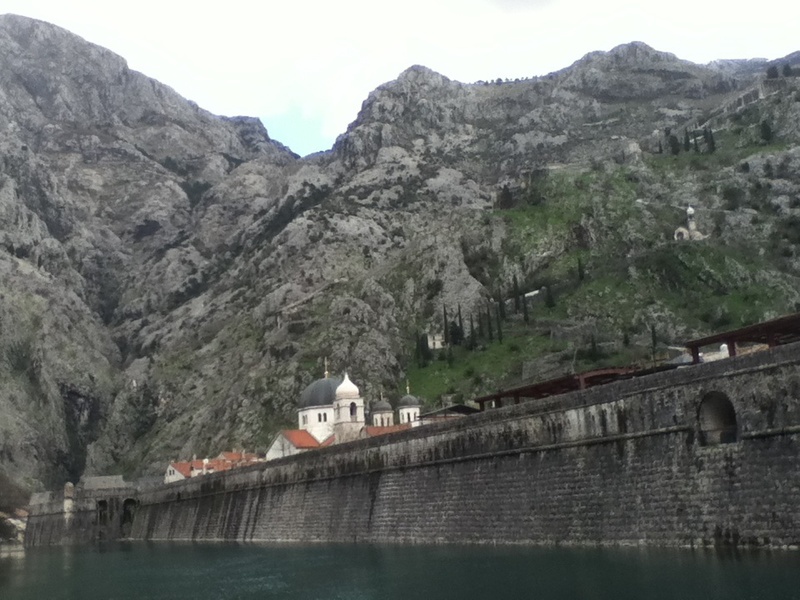 So I decided to stay a night here in Kotor. Why? It was still early, wasn't it? 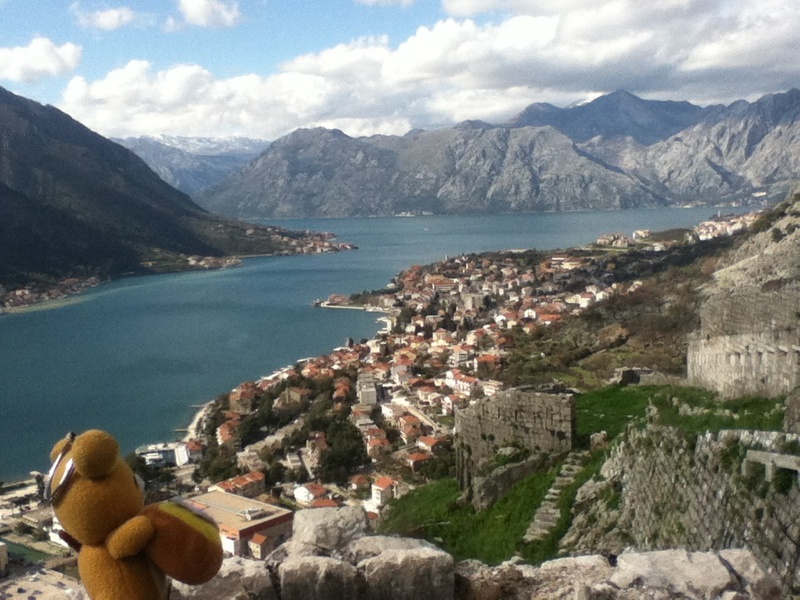 It's because I would like to spend a time to explore the old town of Kotor and it's fortress. I came to the hostel where I checked on the web beforehand. But there wasn't any staff around. 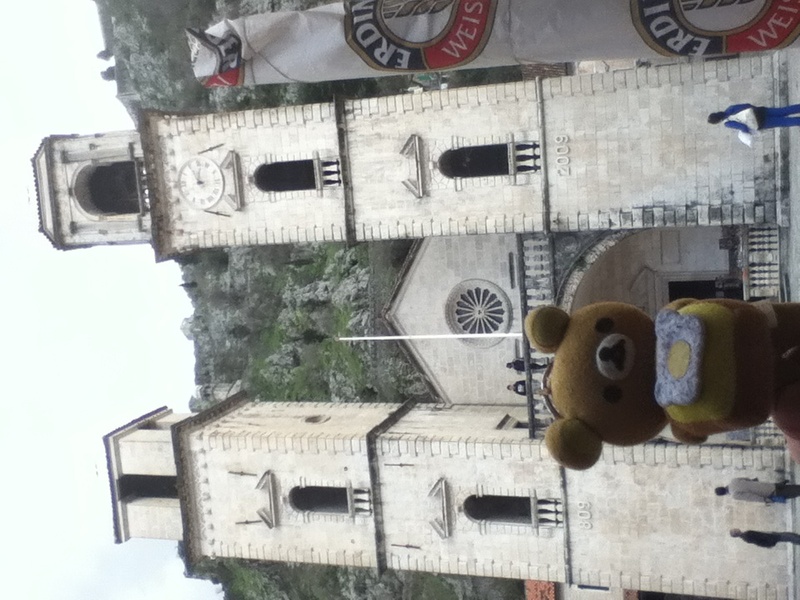 Instead, there were bunch of young guys in the building... One of the guys said the staff would come later, so I could drop my luggage there and wait for the staff or go to explore the old town. Ok, I decided to stay there as I could park Esperanza. The property wasn't in the best condition though. 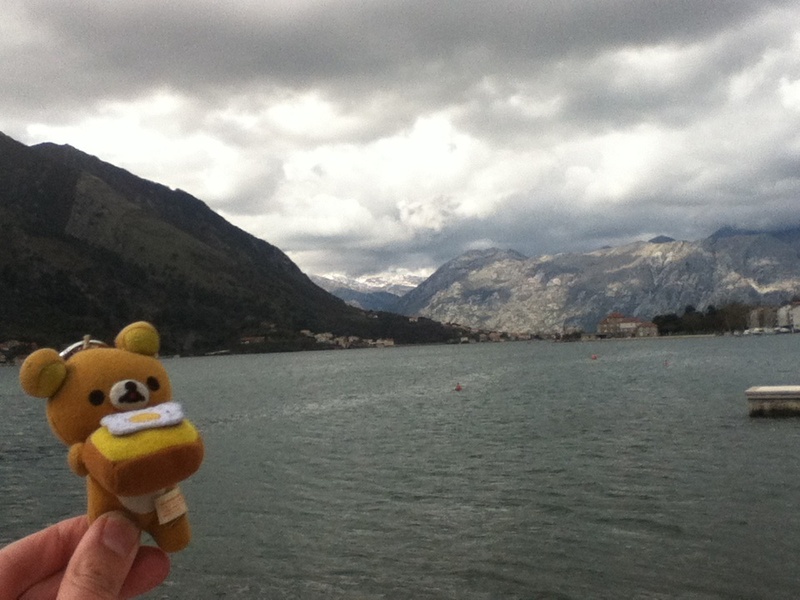 I bought a sandwich at a bakery and went for the sightseeing. 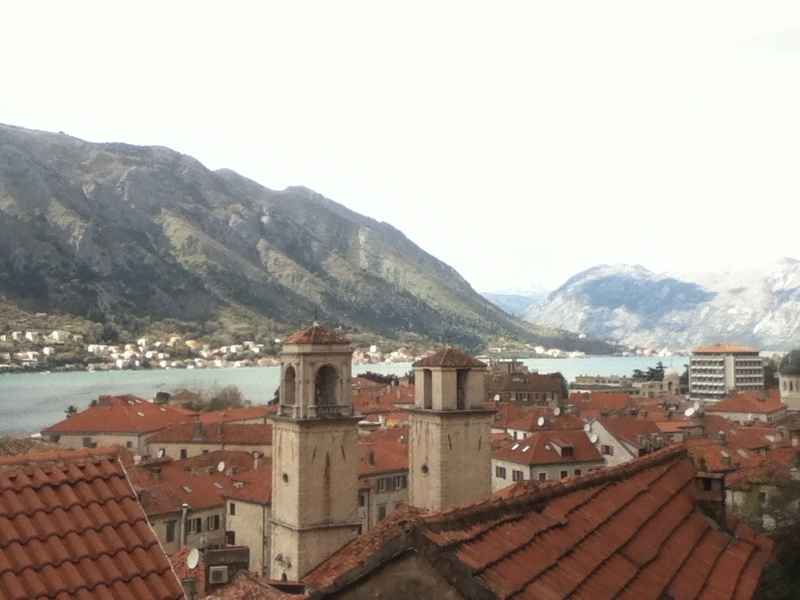 The old town of Kotor is registered in the World Heritage site. 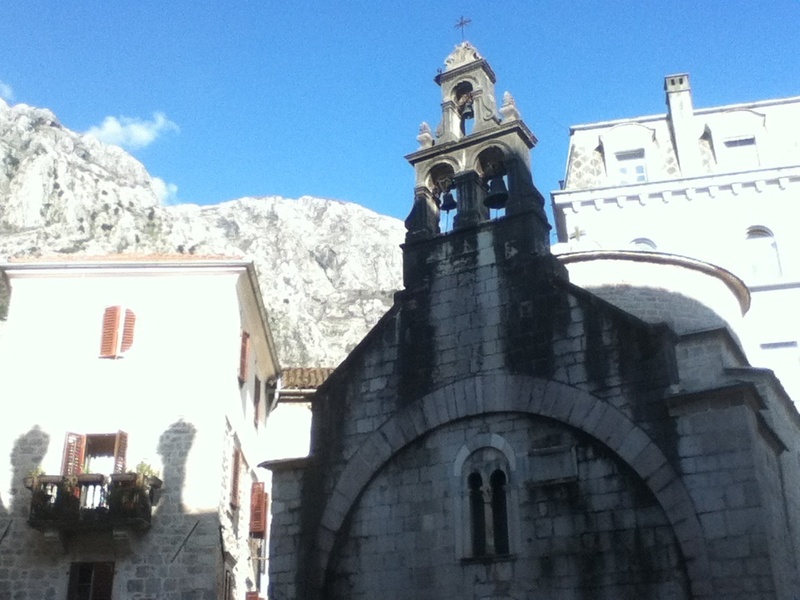 As Dubrovnik it maintains the medieval structures. 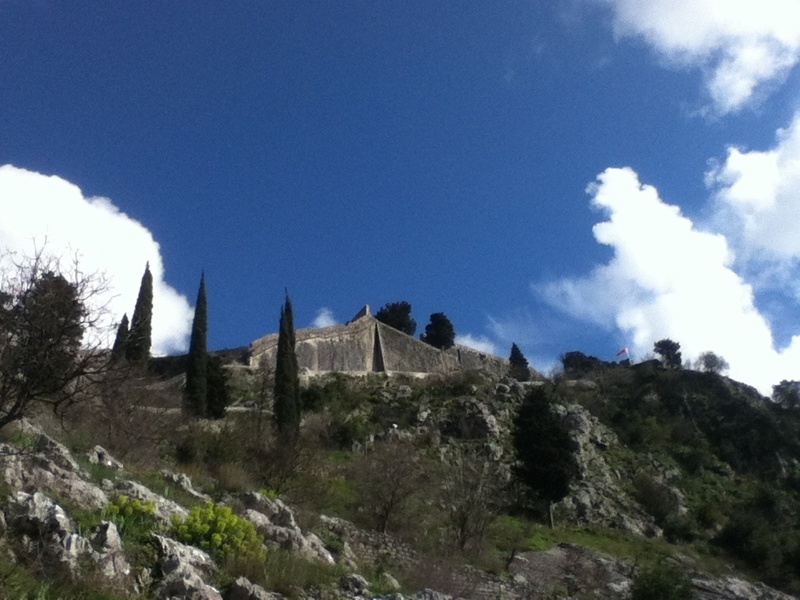 It's much smaller than Dubrovnik, but it has a fortress at the hill behind the town. It looks little like the Great Wall of China. I hope you can see that from the photo. The city wall looks pretty thick. I went into the town from the main gate. Inside the wall, it was the medieval town. 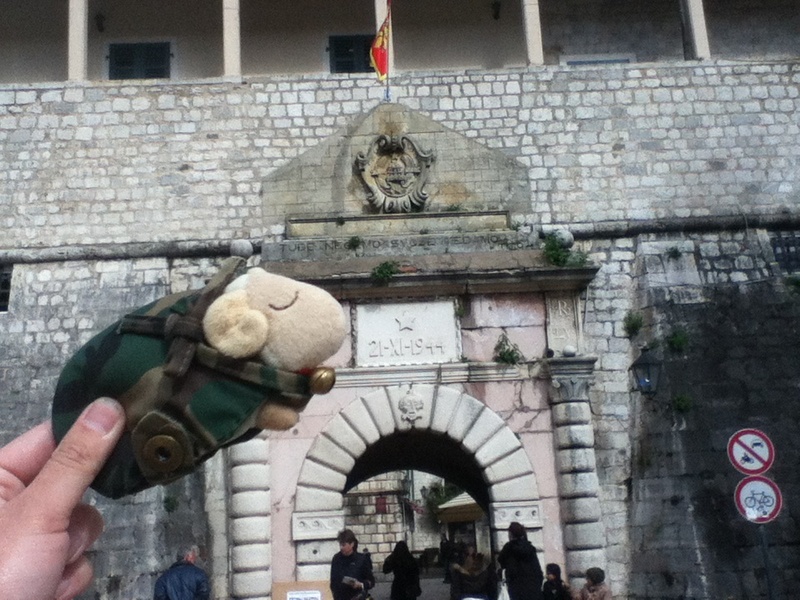 So I went up to the fortress. 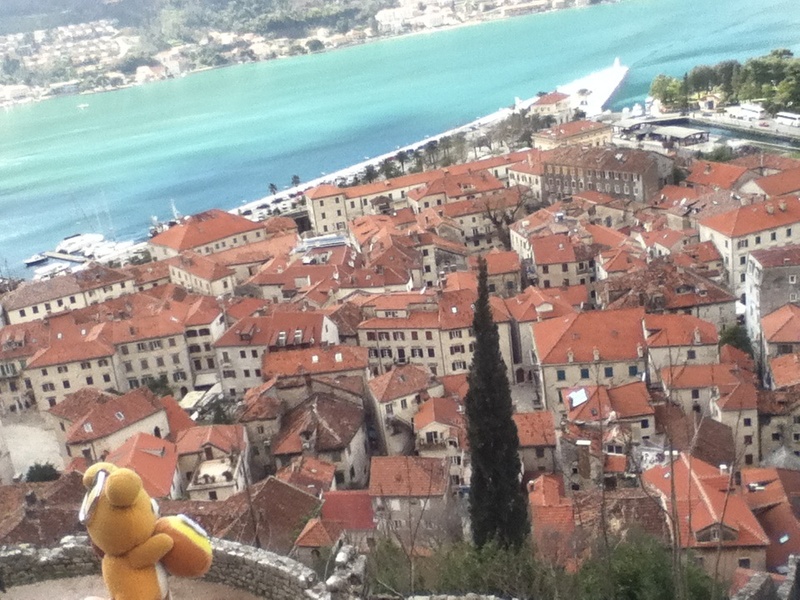 As I climbed ip the stairs, the old town, the lake, and those mountains in a distance could be seen. It was quite a view. As I was wearing the riding jacket, I was sweating a lot! 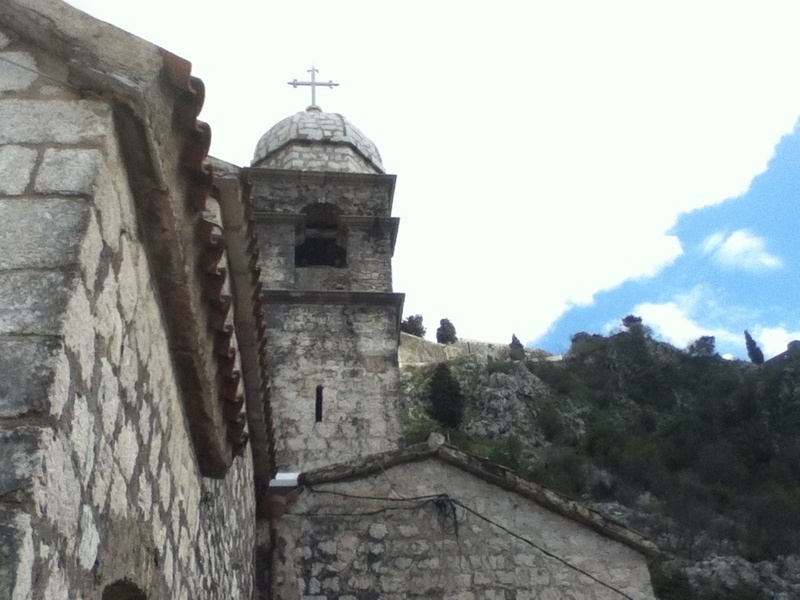 There was a church in the middle of the hill. Some plum trees bloomed. They were pretty. 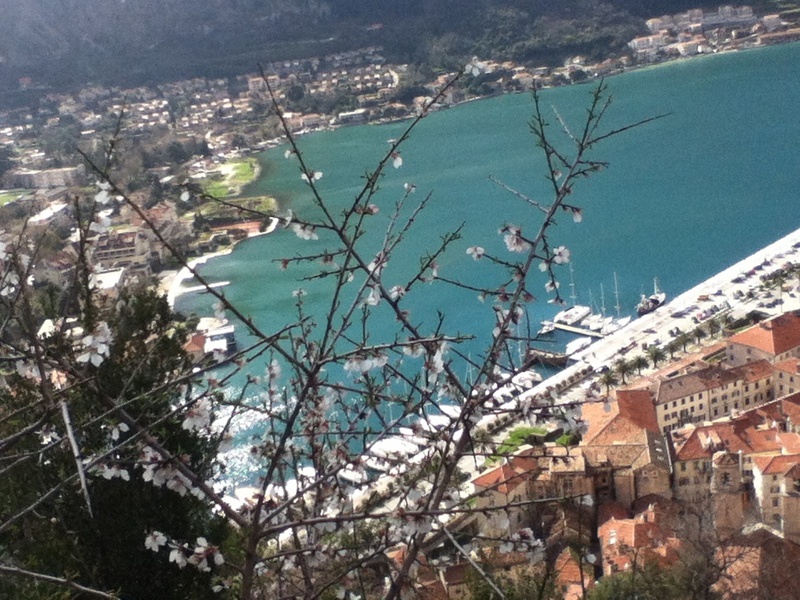 Then finally I was on the top of hill! 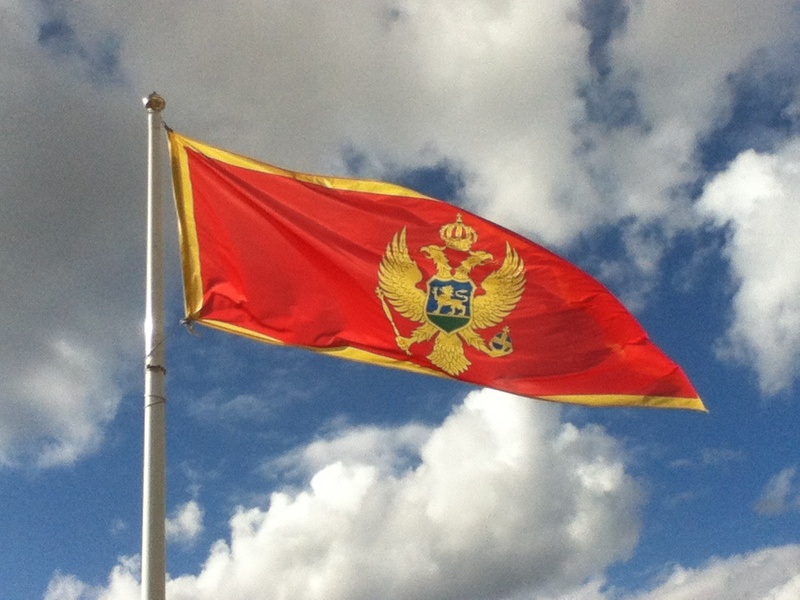 The national flag of Montenegro was proudly flying high! It was worth climbing up. But I had to descend a long way too! 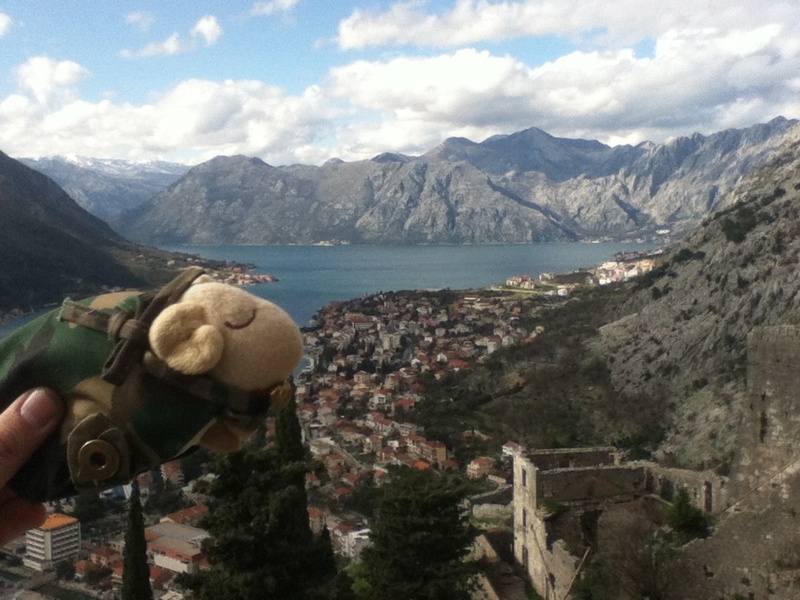 I enjoyed exploring Kotor till 4pm or so. I did not expect Kotor would be so good. 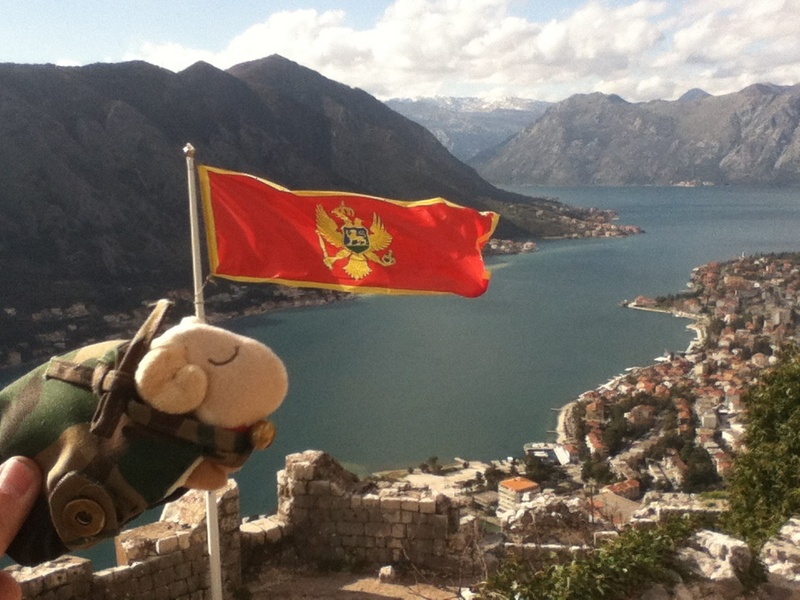 I didn't know what Montenegro would offer. 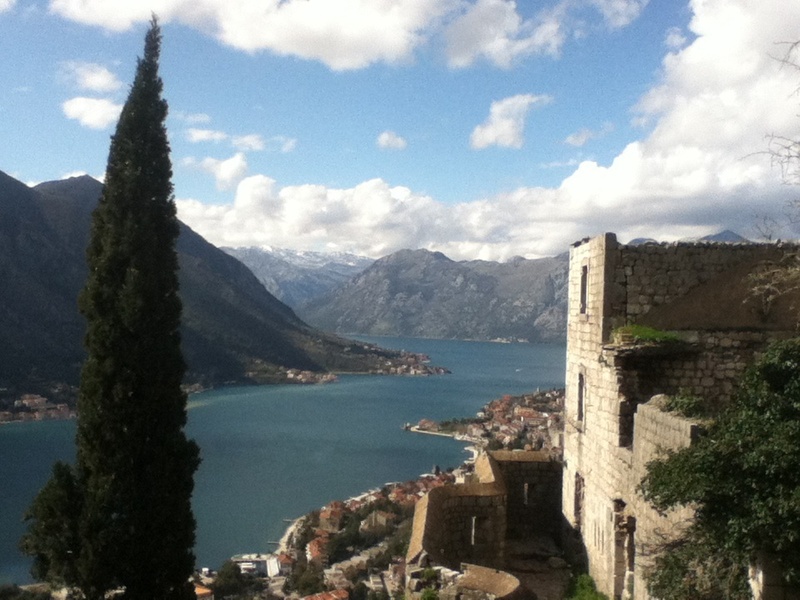 There are many towns like Kotor in Montenegro. 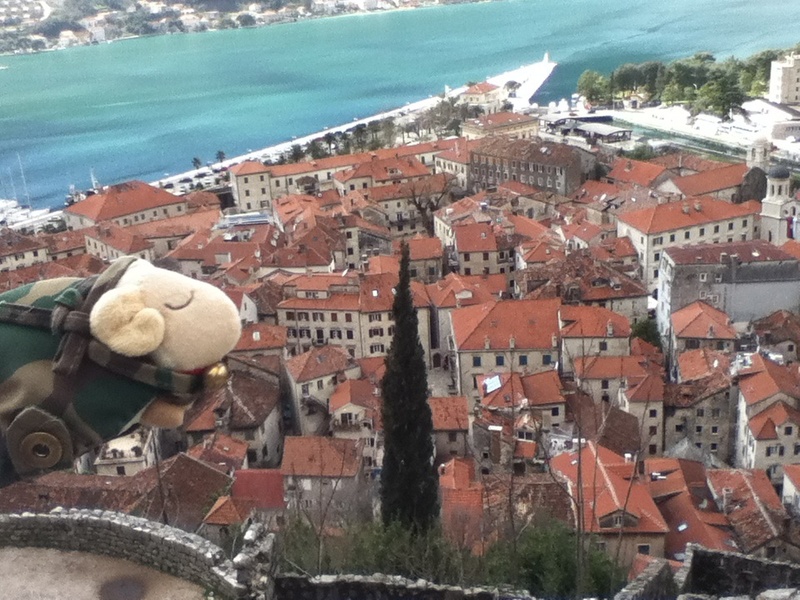 The country is still under construction in many ways, but it has Adriatic Sea and those historical towns, it will be a popular tourist destination in the near future. I am thinking how far I will ride tomorrow. 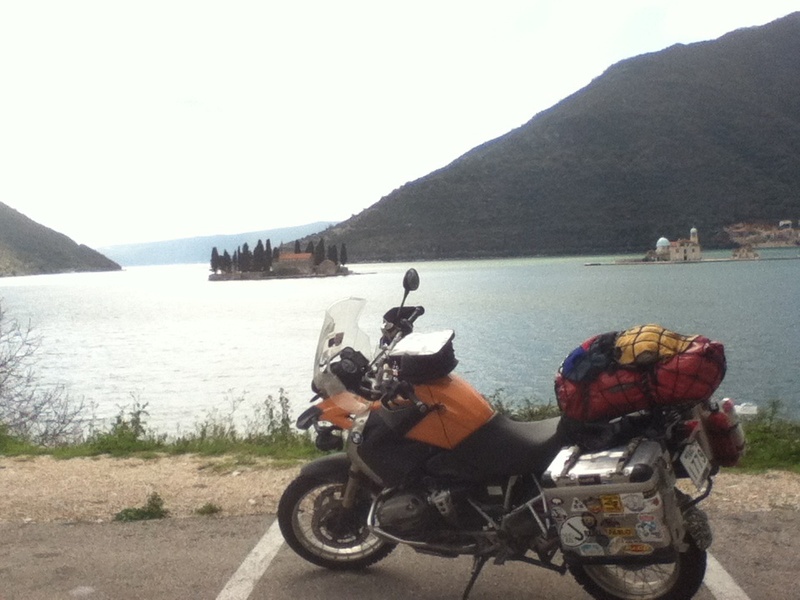 Albania seems to me not interesting, so if I could, I will ride to Greece.